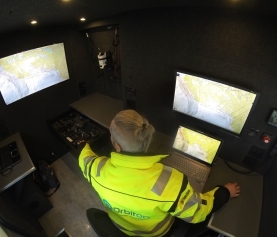 Orbiton has, in cooperation with engineering firm Aas-Jakobsen been awarded Norway’s first ever comprehensive RPAS tender for bridge inspections for the National Public Road Authority (NPRA). The contract encompasses the inspection of approximately 300 bridges on a yearly basis in the Oslo, Akershus and Østfold area between 2015-2020. Difficult to access bridges will mainly be inspected with RPAS. 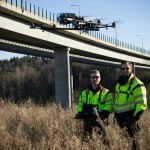 This is the first time the NPRA will systematically use drones for the inspection of their infrastructure and represents a groundbreaking initiative in Norway. 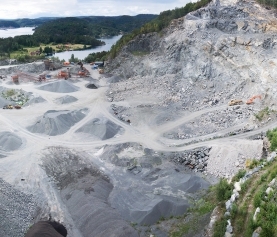 The first inspection was carried out on Monday, 12th October at Langset bridge, 90 km north of Oslo. 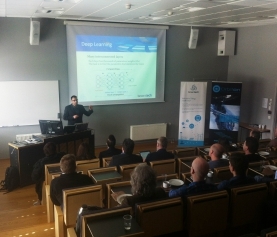 A test flight was also conducted for the Norwegian National Railway in order to assess the use of drones 5 meters over the electric transmission line. 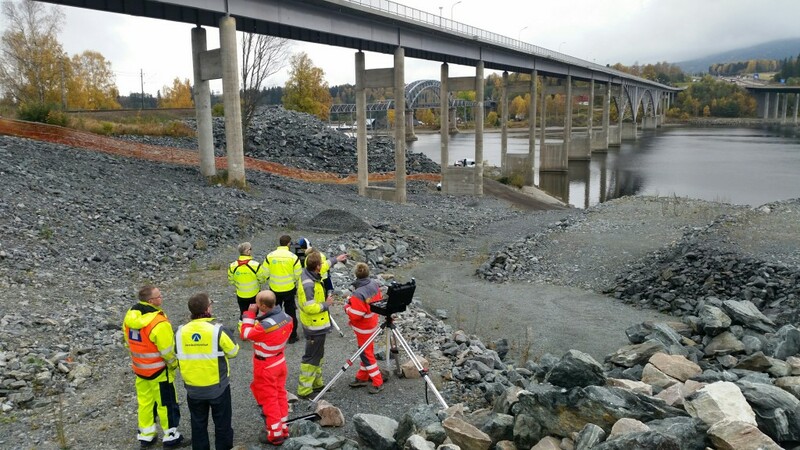 The test produced positive results and provided useful information which will be used for future bridge inspections in Norway.